Should I Be A Foster Parent? You've been thinking about becoming a foster parent. You love kids and have a lot to give. Your children are grown up and out of the house or you would love a sibling for your child. Maybe you are single and really want to care for a child or a couple who doesn't have children but wants to help children in need. You see the need of children to have safe and nurturing homes and you know you can meet that need. How do you know if this is something you are able to do? Below are some thoughts to ponder in making your decision. There is definitely a need for caring foster parents. According to the U.S. Department of Health and Human Services, Administration for Children and Families, Administration on Children, Youth and Families, Children's Bureau, there were 463,000 children in foster care on September 20, 2008 in the United States. There are a lot of children in need of safe homes. There can be many rewards with being a foster parent but also a lot of struggles. Ask a lot of questions before agreeing to take a child. You may have a caseworker begging you and the child may have a really sad story but if you are not prepared to handle the child's needs you may end up doing more harm than good. If there is a behavior you can't imagine having in your home such as sexual acting out, drug use, or even a medical or a developmental disability, it is OK to say that you are not a good match for that child. If you only want babies or only want teens speak up. There is someone out there who will be a good match for that youth and both the child and the placement will have more success. Are you willing to let a lot of other people into your life? There will be case workers and supervisors and court people all looking at your life. There are home visits and court hearings and clinical meetings. Most of the professionals will be competent, caring people. However, people sometimes have a tendency to judge where they shouldn't. You may feel judged and as if the individuals coming into your home don't seem to follow through with anything. On the other hand you may get phenomenal workers and therapist who will ease the whole experience. You won't have a lot of control over the professionals coming in and out of your life so it is a good idea to assess how comfortable you will be with the lack of control. Also assess how you will cope when you see professionals make decisions on behalf of the child - who lives with you and you have started to know so well- that you think are absolutely ridiculous. Are you able to connect with the biological family? Are you at least able to be positive about the biological family around the child and support visitation. For most children in foster care the first goal is to keep children with their family and return them to their parents. Children just seem to do better with their own parents. As a foster parent you will be expected to make sure the children are available for visitation with their parents and/or siblings. Some agencies may even ask you to assist with transportation and sometimes even supervision. Ask about visitation plans when you take a child in your home. Truthfully let the licensing agency your comfort level with assisting with the biological family. Try to be open to working with biological family. Some of the most successful cases are when the foster parent and biological family can engage with each other and learn from each other with the result being a thriving child. Remember the work load is just like parenting your own kids just with more rules and maybe more services. There is still school, teaching, meal time, social activities, discipline, extra-curricular activities and then sibling and parent visitation. Depending on the child's age there may be mental health therapy appointments and for most kids more required physicals and dental appointments than you might have for your own children. Also remember that if there are problems in your home now, the problems will be exacerbated with the addition of child in your life. Identify your motivations. Everyone has needs and underlying desires. It is reasonable to want the good feeling that comes from helping another individual. As a foster parent you can be the stable adult in a child's life. You can be a role model and that adult who keeps them safe and provides a nurturing environment. However, if you need a lot more validation than that, you might be disappointed. You may get accolades from case workers and teachers and other professionals. You may get less from the child themselves. Sometimes it is hard to understand how a child can come from what might be a horrendous history yet he or she is still not happy to be away from their family or grateful you are taking care of them. Children love their biological families. Foster children are brought into a new home where all the traditions and expectations are different than where ever they've been before. They probably won't express overwhelming gratitude for their life being put in upheaval. Foster children often move many multiple times. A foster child may show gratitude and appreciation but you may be disappointed if you go in with that expectation. Remember that the foster child has suffered a lot of loss. They have suffered loss of their biological family - for whatever reason. A child may have the loss of living in a familiar environment, a loss of school or friends or traditions, maybe even several different foster families. Many foster kids are in therapy and/or need lots of support and understanding due to these issues. Ask yourself if you can empathize. Can you recognize loss in your own life that will help you connect with the child? A practical consideration is finances. You will be reimbursed something for taking care of the youth but if you have your own kids you know having kids is expensive. There may be a lag time before you get your first 00000 reimbursement so figure out how you are going to handle that. There will always be things that aren't covered or reimbursable so just make sure you realistically look at finances before you take on a foster child. There are some things not to worry about when deciding whether to be a foster parent. First, remember you don't have to be perfect to be a foster parent. You don't have to have unlimited resources or a perfect home or absolutely everything going right in your life. Are you a reasonable, sane adult who has stability and extra space? If yes, then you should be fine. There can be a lot of emotional and tangible rewards to being a foster parent if you are up to the challenge. When you decide to pursue being a foster parent it is recommended to research the agencies available to oversee your license. 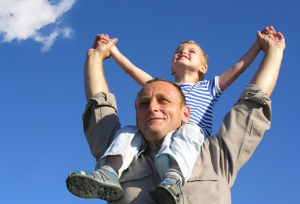 There is likely a good fit for you as a foster parent. Some agencies take anyone, some agencies pay different reimbursements, some agencies may jump at a single person, a gay couple, or childless individual and some may balk. Whatever your life situation, there is a probably an agency that is a good match with you and has values congruent to yours. Ask as many questions as you can think of. Talk to other foster parents and learn from their experiences. Attend and listen at the trainings offered. Make sure you are honest with the entity you licensing agency you go with. If you are being a foster parent just to adopt - make sure they know that. Let them know you only want children whose parent's rights have been terminated. Conversely if you don't want to be a permanent placement but more of a safe haven - let the agency know. There is a place for all sorts of foster parents. Children and youth are in need of safe, stable homes and maybe you are the one to provide it. Realize that when you first try to put the Culture of Accountability into place in your home, your kids may fail to meet their responsibilities, even with clear limits and good problem solving techniques. It will take practice to help them understand that they will be held accountable for their actions. But as James says, "parents are the solution, not the problem." You can teach your children the skills they need to take responsibility in their lives now, and for their future. With consistency and practice, your kids will learn that they are responsible for their actions and behaviors. It's never too early-and it's never too late-to start a Culture of Accountability in your home. "AFCARS Report - Preliminary FY 2008 Estimates as of October 2009 (16)." Administration for Children and Families Home Page. N.p., n.d. Web. 23 Feb. 2010. Julie Fanning has a private practice in West Dundee, IL. Julie has over 15 years experience working in the child welfare field and the above article is based on her own impressions of foster parenting.